Tony Craig is an environmental psychologist working within the 'Values, Choices and Behaviour' subgroup of the Social, Economic and Geographical Sciences group. He carries out research in the topic area of people-environment studies. Tony has a background in environmental psychology (MSc Surrey, 1998, PhD RGU, 2006), and has previously worked on a large number of research projects looking at people's attitudes to various issues, including sustainable wastewater management, prefabricated housing, sustainable housing, and public participation in urban design. Before working at the institute, Tony previously worked as a researcher in the school of architecture at the Robert Gordon University. His PhD (2006) was concerned with the relationship between sustainable design, environmental preferences, and environmentally friendly behaviour. During his previous job, Tony was a co-investigator on the ESRC funded Understanding Future Environments project, which used 3D computer representations of urban environments to compare the relative benefits of giving people the ability to actively navigate virtual environments (using computer games software), compared to passively observing VR presentations. He also carried out research looking at the concept of environmental familiarity, and the effect of familiarity on environmental preferences. Between 2002 and 2006, he was on the board of the International Association of People Environment Studies (IAPS). He was voted back onto the board in 2012, and again in 2016. Tony was the treasurer of IAPS during the time that it was a UK registered charity. 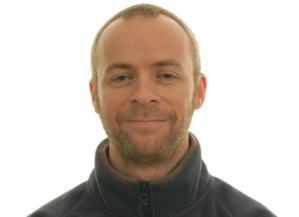 He has also been the person responsible for the IAPS website, and is now the organisation secretary. Between 2011 and 2015, Tony led a large study of energy consumption involving several hundred households in partnership with Aberdeenshire Council and Aberdeen City Council. This study (The 'North East Scotland Energy Monitoring Project') explored how effective energy feedback (in the form of an in-home display) was in facilitating energy-reduction in households. The study involved a combined analysis of survey data with electricity-consumption data.. The large amount of data produced from this project is currently being prepare for archival in the UK data archive. A recent SEGS blog post by Tony explored some interesting insights that can be gleaned from such data in relation to waking times. Tony has previously supervised 5 PhD students through to completion: Sander van der Jagt, Carlos Galan Diaz, and Leanne Townsend and Stephanie Graf. He is currently supervising 2 PhD students: Megan Watson and Lucy Sam. He also holds an honarary lecturer position at the Department of Psychology at the University of Aberdeen. Tony is currently leading the James Hutton Institute's contribution to RD3.2.4 (Food Culture and Dietary Choice) within the RESAS 2016-2021 main research programme. This is an interdisciplinary research programme using a systems approach to model influences on dietary choice, including comlex interacting individual and societal pressures, habits and cultures. This work will involve the construction of an agent-based model (ABM) of food culture in relation to dietary choices. Tony has previously worked on EU projects looking at energy behaviours (GILDED), and pro-environmental behaviours at work (LOCAW), and is currently working on a project examining sustainable lifestyles (GLAMURS). Colley, K.; Craig, T. (2019) Natural places: Perceptions of wildness and attachment to local greenspace., Journal of Environmental Psychology, 61, 71-78. Vávra, J.; Megyesi, B.; Duzi, B.; Craig, T.; Klufová, R.; Lapka, M.; Cudlínová, E. (2018) Food self-provisioning in Europe - an exploration of sociodemographic factors in five regions., Rural Sociology, 83, 431-461. Asvatourian, V.; Craig, T.; Horgan, G.W. ; Kyle, J.; Macdiarmid, J. (2018) Relationship between pro-environmental attitudes and behaviour and dietary intake patterns., Sustainable Production and Consumption, 16, 216-226. Craig, T.; Fischer, A.; Lorenzo-Arribas, A. (2018) Shopping versus being in nature? An exploratory study of everyday experiences., Frontiers in Psychology, 9, Article 9. Melo, P.C. ; Ge, J.; Craig, T.; Brewer, M.J.; Thronicker, I. (2017) Does work-life balance affect pro-environmental behaviour? Evidence for the UK using longitudinal microdata, Ecological Economics, 145, 170-181. Van der Jagt, A.P.N. ; Craig, T.; Brewer, M.J.; Pearson, D.G. (2017) A view not to be missed: Salient scene content interferes with cognitive restoration., PLoS ONE, 12, Article No. e0169997. Conniff, A.; Craig, T. (2016) A methodological approach to understanding the wellbeing and restorative benefits associated with greenspace., Urban Forestry and Urban Greening, 19, 103-109. Pearson, D.; Craig, T. (2014) The great outdoors? Exploring the mental health benefits of natural environments., Frontiers in Psychology, 5, Article No. 1178.
van der Jagt, A.P.N. ; Craig, T.; Anable, J.; Brewer, M.J.; Pearson, D.G. (2014) Unearthing the picturesque: the validity of the preference matrix as a measure of landscape aesthetics., Landscape and Urban Planning, 124, 1-13. Dent, I.; Craig, T.; Aickelin, U.; Rodden, T. (2014) Variability of behaviour in electricity load profile clustering; who does things at the same time each day?, Advances in Data Mining: Applications and Theoretical Aspects, Lecture Notes in Artificial Intelligence, 8557, 70-84. Gilchrist, K.; Craig, T. (2014) Home energy efficiency - a review of evidence of attitudes and behaviours., ClimateXChange website. Galan-Diaz, C.; Conniff, A.; Craig, T. (2014) Using Nvivo for handling large data sets: a case study., In: Paulus, T., Lester, J. & Dempster, P. (eds.). Digital Tools for Qualitative Research. Sage, London, pp121-122. Craig, T.; Conniff, A.; Galan-Diaz, C. (2012) The influences of actual and perceived familiarity on environmental preferences for the design of a proposed urban square., Urban Studies Research, Article id 767048, 9pp. Craig, T. (2012) Response to the DECC Consultation on the consumer engagement strategy supporting the smart meter rollout., DECC Consultation (URN 12D/033). Conniff, A.; Craig, T.; Laing, R.; Galan-Diaz, C. (2010) A comparison of active navigation and passive observation of desktop models of future built environments., Design Studies, 31, 419-438. Sutherland, L.A.; Fischer, A.; Craig, T.; Gotts, N.M. (2009) GILDED European Policy Brief One., Deliverable from GILDED FP7 Project for European Commission. Craig, T. (2010) Technology, gadgets and energy feedback - A research project comparing total household energy feedback with disaggregated (individual appliance) feedback., Invited presentation to the Scottish Government, What works in Behaviour Change Conference, Victoria Quay, Edinburgh, 28 June 2010. Conniff, A.; Craig, T.; Laing, R.; Scott, S.; Galan-Diaz, C.R. (2007) Informing the practice of planning: researching future environments using desktop computers., In: Environmental Psychology: from research to 'real world' applications (eds. E. Edgerton and O. Romice). Cambridge Scholars Publishing, Newcastle, pp91-108. Laing, R.; Conniff, A.; Craig, T.; Galan-Diaz, C.R. ; Scott, S. (2007) Design and use of a virtual heritage model to enable a comparison of active navigation of buildings and spaces with passive observation., Automation in Construction, 16, 830-841. Galan-Diaz, C.R. ; Conniff, A.; Craig, T.; Laing, R.; Scott, S. (2006) Walking participants through a virtual model: How we got there and its implications., Cognitive Processing, 7, (supplement 1), s33-s36. Edge, M.; Craig, T. (2005) Internet based methodologies in housing research., In: Methodologies in Housing Research (eds. N. Wilkinson and Y. Hurol). The Urban International Press, Gateshead, pp272-285. Craig, T.; Abbott, L.; Laing, R.; Edge, M. (2005) Assessing the acceptability of alternative cladding materials in housing: theoretical and methodological challenges., In: Housing, Space and Quality of Life (eds. R. Garcia-Mira, D. Uzzell, J. Real and J. Romay). Ashgate, Aldershot, pp59-69. Craig, T. (2002) Overcoming expertocracy through sustainable development : the case of wastewater., In: People, Places and Sustainability (eds. G. Moser, E. Pol, Y. Bernard, M. Bonnes, J. Corraliza and V. Giuliani). Hogrefe and Huber, Gottingen, Germany, pp270-279. Burkhard, R., Deletic, A. and Craig, T. (2000) Techniques for water and wastewater management: A review of techniques and their integration in planning., Urban Water, 2, 197-221.